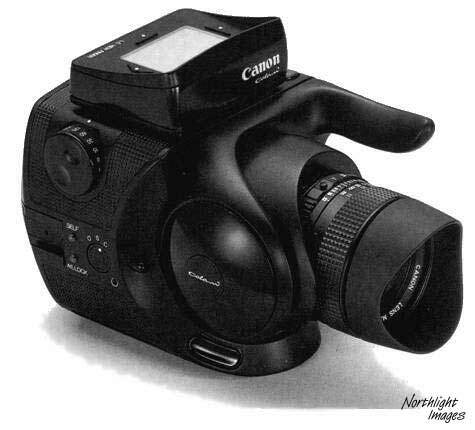 Canon (and others) to move into digital medium format cameras? 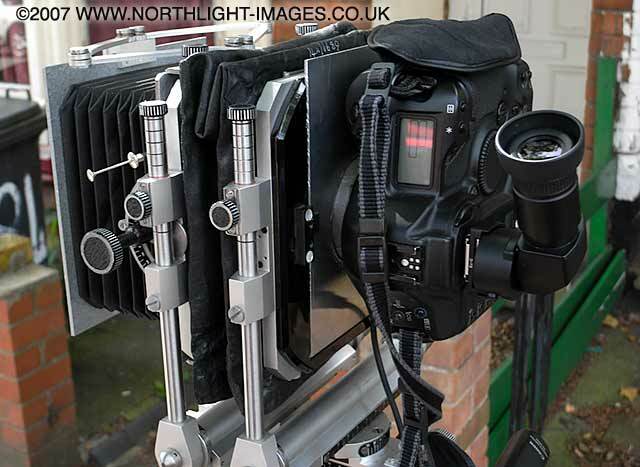 Archive from 2006 to 2012 of Keith’s musings on where next after a 35mm full frame digital SLR. 3rd Seems that the price of the Leica S2 may be coming down [LR], to make way for the budget priced S3 at Photokina (budget range as in budget of a small country ;-). 3rd A new version of the Pentax 645D is on its way. 16th Mamiya and Leaf are now working together under the ‘Mamiya Leaf‘ brand. 2nd Remember those Samsung MF rumours from May? 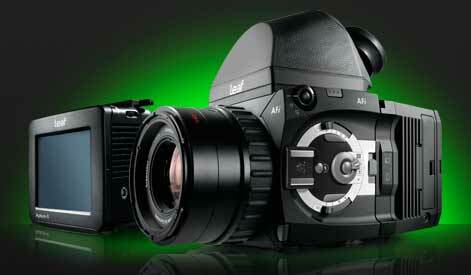 1st Hasselblad have just announced a deal obviously aimed at those wanting to make the move. I’d be interested to see how much of a boost in sales of the Pentax 645D and other MF suppliers comes from 1Ds3 owners who had been holding off for a 1Ds4, and now making the jump. In other words: don’t count on a much higher resolution camera anytime soon but it is not an absolute “no”. 25th An interesting Leica interview [MP]. Optical viewfinders, mirrorless and the S2 all get a mention in what’s a far more revealing interview than the anodyne stuff that’s normally passed off as an interview. I’ll leave aside the massive R&D costs of a whole new range of lenses, but I do feel that this is the result of (perfectly reasonable) ‘Is that it?’ reactions to the 1D X from those who query 12FPS, video, whizzy AF and 200k+ ISO to those who shoot things that don’t move, in high detail. 19th The move to 18MP for the 1D X has prompted a lot of reconsideration of digital MF, with all kinds of speculation on the forums – most running up against the brick wall of cost. That old chestnut of Canon buying a MF camera company has also arisen again, but do note that this page goes back to 2006! 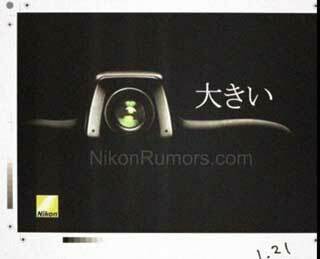 11th I note that Kodak is being linked to bankruptcy talk – [BB] Kodak make sensors for the Leica S2 amongst others. There’s an interesting interview [MP] with a Samsung spokesman where they comment more about those interesting ‘development’ cameras from May. 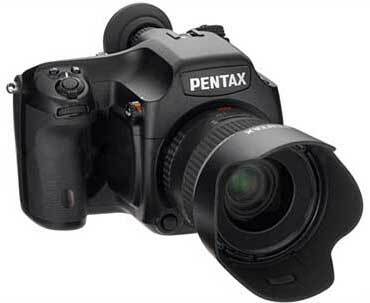 1st Ricoh have just bought Pentax [PR, 1k1]. I was very impressed by the Ricoh GX200 when I looked at it. I wonder what happens to the 645D. 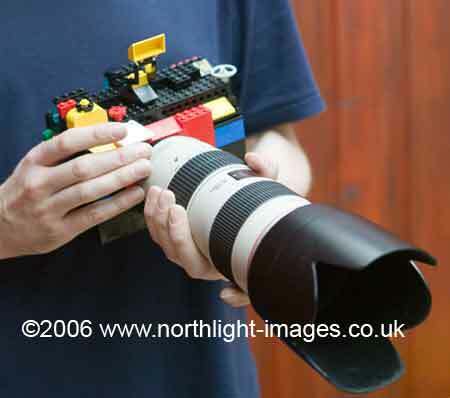 – The lens you can see in the picture is a manual focusing 24mm lens. – Samsung developed three different sensors. One 18 Megapixel sensor and two different 34 Megapixel sensors. Well, Samsung are one of the companies that are big enough to do it if they thought there was a market. 21st Although Canon may see the next 1Ds as tilting at the Medium Format market, the few remaining manufacturers are pushing the limits – we hear (thanks) that Phase One is announcing a new camera and back on Monday. 12th In our recently received 1Ds’4′ info, we hear that Canon is aiming at taking their top 35mm camera even further into MF territory – there has been no info about a move to larger sensors for some time, and if anyone at Canon is still working on the MF design project, then they are keeping very quiet. 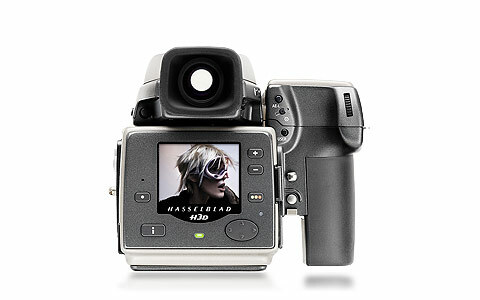 …the H4D-31 is available in two configurations, both with the latest version of Hasselblad’s Phocus 2.6 software. The first, designed for high end 35mm DSLR photographers comes bundled with an 80mm lens. 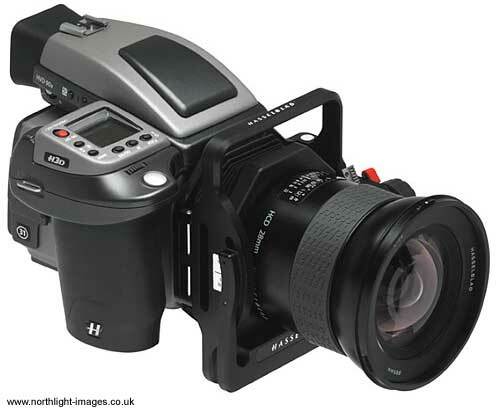 The other offers a digital medium format solution for V-System users by bundling the H4D-31 with a CF-lens adapter. Both options are priced at 9,995 Euro (+tax). 21st We hear (thanks) that P1 will bring out a new 300mm lens next year and, from an old source, that Canon is still looking at ‘redefining’ MF. The giant sensor at the Canon Expo, although not directly part of this, was to show that Canon was serious in scaling up its CMOS technology to ‘true MF’ sizes although market conditions might keep this at engineering project status. 20th Photokina is here, and whilst we’re not expecting anything grand from Canon, other manufacturers will be announcing plenty, such as a new 150mm leaf shutter lens from Phase One and a battery grip with air-sync for Profoto gear to give true 1/1600 sync. 8th Canon MF rumours are doing the rounds again [CR]. This time it’s Canon buying up an MF camera company. 30th Along with some info concerning the eventual arrival of the 1Ds4, we hear that Canon is still looking at moving its top end of cameras into digital MF territory. This ties in with a comment a while ago that Canon is very interested in how the market reacts to the 645D. Whether this is part of the usual upsurge in wishful thinking that builds before a new ‘Ds’ is unclear. This would also make any Sony/Nikon entry to the larger format sensor market less likely – it’s been a couple of years since both were associated with a possible move to larger sensors. 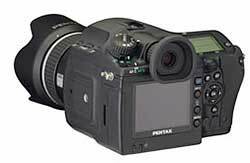 12th The Pentax 645D is starting to ship in Japan and potentially other places round the world, as and when Pentax decide there is a market for it. I’ve seen a couple of brief ‘reviews’ [AHB, EP ] but nothing yet from anyone with much MF experience. 3rd Mamiya have announced an $18k 33MP RZ33 digital MF camera, with a 48x36mm CCD sensor. Described as “a leak from an unnamed camera manufacturer about square sensors” it reads like posts I sometimes see on DPR – if it were to come about then it would not be in the normal EOS range – a lot of camera hardware and lenses would need all new designs. 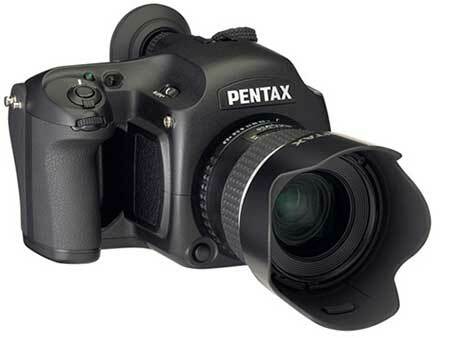 The PENTAX 645D features the acclaimed, PENTAX-original PRIME (PENTAX Real Image Engine) II as its imaging engine. Thanks to its high-speed dataprocessing capacity and new algorithm exclusively programmed for medium-format digital SLR cameras, this high-performance imaging engine produces super-highquality images rich in gradation and faithful in color reproduction, while allowing speedy data transmission of large-volume image data — even RAW-format images as large as some 50MB per file. The pixel density is aprroximately equal to 24MP in a 35mm camera. 19th The ‘larger sensor’ rumour mill has gone very quiet of late. If the next 1Ds comes in at ~32MP, then expect the usual ‘MF is dead’ chorus from people who don’t need what it offers. The digital MF back is still going – perhaps not quite as strong as last year, but predictions of its demise seem a little premature. I’d love to use some of this stuff for certain types of work – I just cannot (personally) make a serious business case for it – if I spend £15k, then it has to allow me to bring in at least ~£10-15k of -extra- work over a couple of years to make it worthwhile. 21st Leaf lower the price of entry to digital ‘MF’ with the Aptus II 5 22MP digital back. The back is expected to ship from November at €5,995. 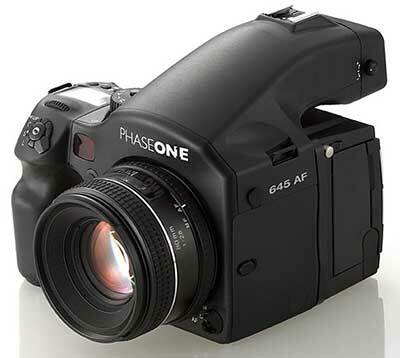 Phase One’s 645AF body + 80mm lens can be obtained with the back for an additional €2,000. Mamiya has announced the price/availability of the DM22 and DM28 MF cameras. DM22: $9,995 for the body and 80mm f/2.8 lens D series lens. The 22MP camera has a 48×36 mm sensor and 16 bit/channel RAW files, claimed dynamic range of 12 stops and ISO range of 25-400. DM28: $14,990 for the body and 80mm f/2.8 lens. Identical to the DM22, except a 44x33mm sensor and ISO range of 50-800. Both start shipping from November 2009. New lenses feature high flash-sync speeds up to 1/1600 with three leaf-shutter digital lenses. Designed and developed with with Schneider Kreuznach, and manufactured by Mamiya, the 55mm f/2.8 D L/S, 80mm f/2.8 D L/S, and 110mm f/2.8 S L/S will begin shipping in Q4, 2009. The S2 autofocus medium format DSLR will be available in October for a recommended selling price of $22,995/£15,996. 14th In a well thought out Nikon roadmap from Thom Hogan [TH] there is a mention of MX format. “I should point out one possibility that has dropped off the radar at the high-end recently: the old MX rumor. 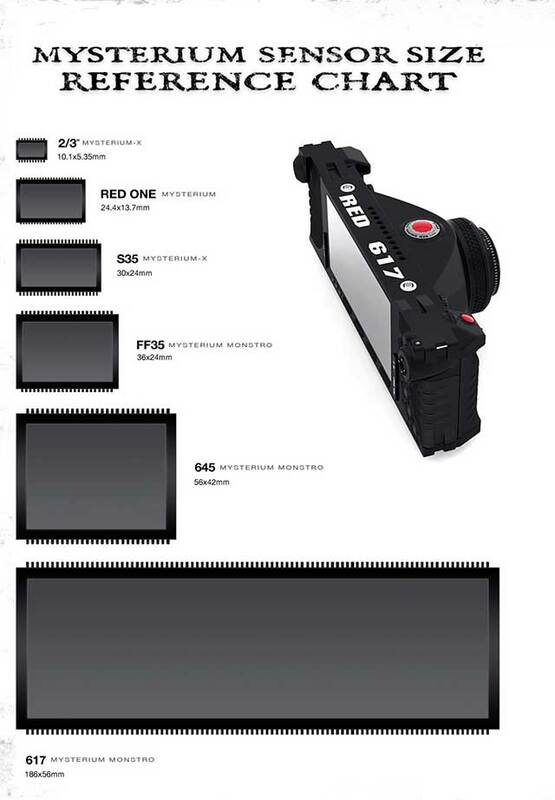 The faux larger-than-FX ad campaign that first surfaced late last year certainly pointed to another possibility: that a D4 might use a larger sensor, something akin to the Leica S2 concept. You can build a camera about the size of the D3 with a much larger sensor, which answers the more-pixels-but-same-noise problem without breaking a sweat. A 36x48mm sensor based on the D3 sensor gives you a 24mp low-end MF camera in a DSLR-sized body. Or better yet, a 36x48mm sensor based on the D3x sensor gives you a 48mp mid-range MF camera in a DSLR-sized body. Why would this be interesting? Well, it takes a lot of pressure off sensor development (though yields and price will be an issue with very large sensors), yet gets you to a significantly higher level of pixel count with the same noise tendencies. The primary drawback is that it means you have to design a new set of lenses (though I’d be remiss to point out that if you take the PC part out of the PC-E lenses, you’ve got existing 24mm, 45mm, and 85mm designs that should work at that size with little change). The plus in this scenario is that it extends the D3s/D3xs lives well into the D4 era. If done with FX and DX optional crops and a mount adapter, an MX even makes a usable replacement for existing FX cameras with existing lenses. At 39MP 4:3 and 29MP square, it’s designed to go with any Hasselblad ‘V’ system cameras. A PDF is availble with full info, or there is info at Hasselblad US. 2009 June 25th As long expected, the number of digital MF companies was too much for the market. The latest to ‘not quite vanish’ is Leaf, which is being subsumed into Phase One, although calming words are in order, so as not to spook the horses. Phase One, in conjunction with senior management employees of Leaf, have created a new entity, Leaf Imaging Ltd., to purchase certain assets of the Leaf camera business, such as the “Leaf” brand product names, engineering design and production tools. The new entity will also enter into an intellectual property license with Eastman Kodak Company that is royalty bearing to Kodak. Financial terms of the deal were not disclosed. 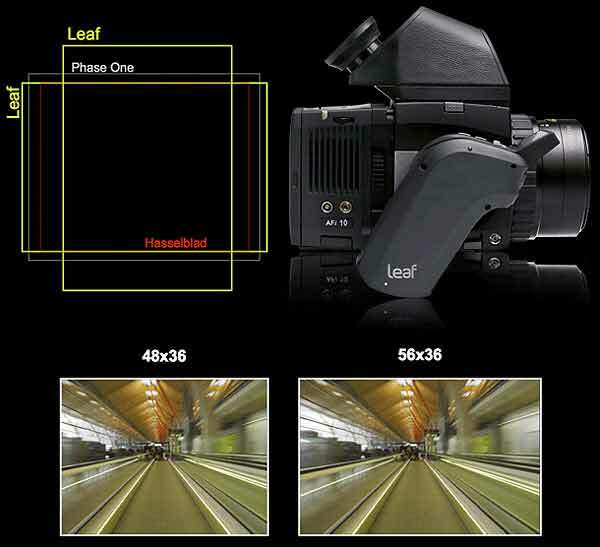 In collaboration with Phase One, high end Leaf digital camera equipment will continue to be developed in Israel and marketed under the “Leaf” brand through a global network of specialised and dedicated value added resellers such as Peartree in the UK. There has been talk that Kodak wanted to get shot of Leaf for some time, so it could be viewed as Phase actually saving Leaf, although by this time next year I’m not expecting to see more companies with MF offerings. Over at DPR, there is some more info which, depending on how you choose to interpret it, is perhaps not so welcome to Leaf users/dealers. “The new company will continue to make and develop the Leaf Aptus range of digital backs but will not initially sell the AFi-II camera system. Watch for that classic weasel word ‘synergy’, which is never welcome to staff and supply/dealer chains in merger/acquisition situations. 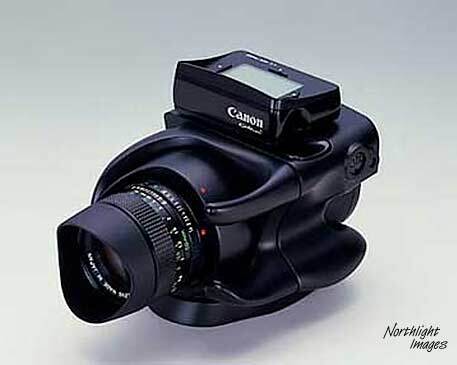 As to Canon/Nikon – there has been no real rumours for quite some time, but there seems no rush to get into this market. 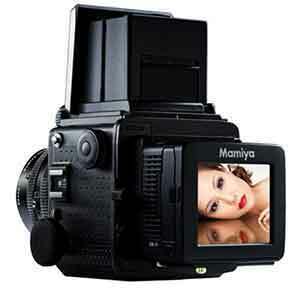 15th A collection of new Mamiya backs announced. 2009 May 14th Yes, big sensors really do make a difference. Other than that we’re still waiting for the Nikon MX stuff suggest by a French magazine, back in March. 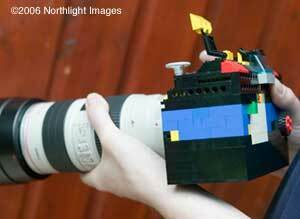 As to Canon, our most recent comment received was that ‘large sensor work’ was ‘on hold again’. The ‘something for landscape and architectural photographers’ comment we heard back in October, most likely was referring to the two new TS-E lenses. How many digital MF suppliers will be left at the end of the decade? 2009 March 19th Mamiya up their MF DL28 to 33MP. A bargain at $20k and if you get your order in soon, there’s a free lens. If this sounds familiar, then a glance back through this page should refresh your memories. 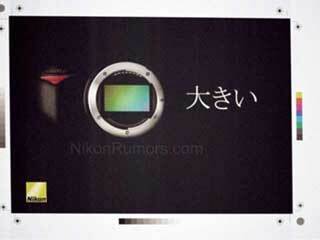 February 13th Some info about a potential Nikon ‘middle format’ camera by the end of the year…. All our recent information suggests that Canon still has semi-active MF design projects, which could quickly be moved into more active modes -if- they thought it worthwhile from a business point of view. At the moment Canon want to concentrate on ‘MF quality from 35mm’ but if Nikon (and particularly Sony) make moves in this area, Canon might decide to respond. 12th Lots of MX speculation out there, and Thom Hogan has made his pronouncements for 2009, which even raises the question of a potential Canon ‘big’ camera too. Here’s my version I built for my 1Ds – the body/mirror effectively limits it to a shortest lens FL of about 90mm. Anyone else hear anything of such a Canon project? 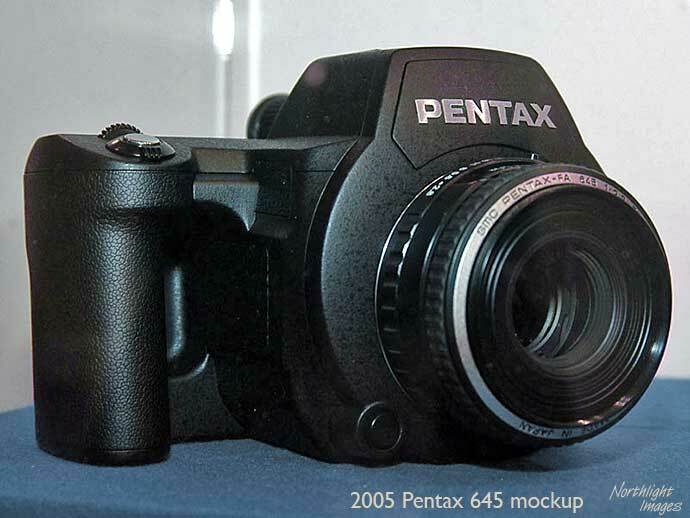 20th Pentax would still like people to think they might bring out an MF camera [DPR] see below (25/2/07) for a previous attempt. However it seems that the meeting has been postponed to Nov 20th [Google Tr] and may well only be software. 13th A Nikon product announcement in Copenhagen on the 22nd has people interested. 2008 October 4th The Nikon MX rumours are going well, with several new pictures of supposed ad copy for something new from Nikon. Things to note, are the much larger lens mount and lack of focus screw in the ‘new’ mount. September 29th The Leica S2 has if nothing else given the slightly moribund Canon MF rumours market a boost, with a DPR post on the subject of Canon using a 36x48mm 77MP sensor, but EVF. 22nd What new from Leica? An all new 37MP MF like system with a 30x45mm sensor and a whole range of lenses. [BJP, Leica] €20,000 body only, available summer 2009. 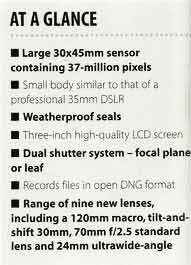 There is a page of info from ProPhotograper Magazine [flkr] – the salient points are copied here. Expect to require a lottery win before buying one. 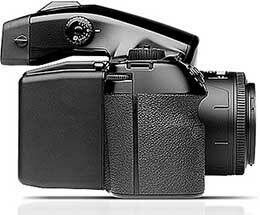 It sits between the EOS 5D and EOS 1Ds MkIII in terms of body size. If the new moves to MF do prove at all successful, expect Canon to look again at their MF projects. 2008 September 19th Mamiya have a new 22MP digital back. 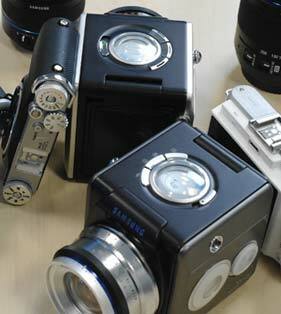 The AFi-II 10, 7 and 6 digital medium format cameras and matching Aptus-II 10, 7 and 6 digital backs. AFi-II 7 and 10 have got the first tiltable LCD screens on MF cameras. The AFi-II 10 and Aptus AFi 10 use a 56MP, 56x36mm sensor. 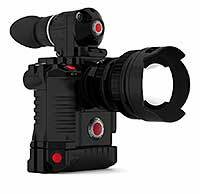 The cameras’ backs have 3.5″ touch screen LCD displays, 12 stop dynamic range, 50 to 800 ISO range and 16bit output. Leaf has introduced a new version of its capture software, Leaf Capture version 11.2. 5th More on the MX format and Nikon MF from Wired. 4th It seems our enthusiasm for a Canon MF was misplaced. We’re told that last year the decision was made to concentrate on getting FF sensors up to 65MP and the lenses to make use of them. 3rd In a load more Canon technical info we were sent there is talk of redefining what a ‘pro’ camera is. Time for the Canon MF to re-emerge? Info on the 60D page. 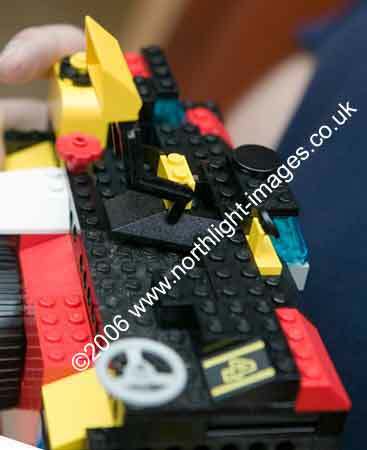 2008 September 1st it’s certainly Nikon that has moved up into the MF camera rumours front row. August 23rd Nikon has a marketing event at the the WPPI (Wedding & Portrait Photographer International) show in Vegas next February. They are calling it BIG! The comparative areas of some of the top end sensors are shown below. Note that it’s a Dalsa chip – Even though I’ve heard a couple of rumours about Canon negotiating to buy itself a MF camera company, I don’t really see it as very likely myself. 2008 July 14th Big chips are the thing in the news. At 40.4 X 54.9mm it’s pretty close to ‘full frame’. Mamiya 645, for example, is 41.5 x 56 mm. There is a lengthy announcement at LL where the price is mentioned at ~$40k for the back, and a full camera system starting at ~$42k – looks to be ready for Christmas if you want one. Some info (german) and some details of the tilt/shift adaptor available for it. The adaptor will work with the 28, 35, 50 and 80mm lenses, +/-18mm shift, +/- 10 degrees tilt, +/- 90 degrees rotation. I’m still hearing reports of development work on a Canon MF solution, but the project seems to have been put on the back burner this year. 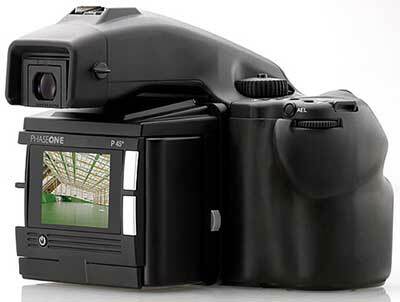 However Phase One have announced their 645 ‘open’ system in conjunction with Mamiya. Based, loosely, on the Fuji GA 645 series medium format rangefinder cameras, this camera features a FULL-FRAME 6×4.5 (55mm x 43mm) 48 megapixel SuperCCD SR sensor (24 million S pixels, 24 million R pixels). With 16 bit A/D converter and advanced processing, 10 full stops of dynamic range are captured. ISO range from 200 to 6400. With no discernable noise through 3200 speed and barely perceptible noise at 6400. Has 8 pre-programmed film simulation modes and 4 programable settings. The fixed four position zoom 45mm, 55mm, 80mm and 120mm (35mm equivalent: 28mm f4, 35mm f4.2, 50mm f4.8 and 75mm f5.6) is crisp and sharp “wide open” at all settings with no discernable chromatic aberation and limited easily correctable distortions at the extremes.The autofocus is much improved over the GA645 series – very fast and very sharp (beyond the resolution of the sensor). Shooting speed of 3 frames per second until buffer fills with 1.5 frames per second thereafter. Buffer depth is 10 frames. RAW image size is 100MB. Uses compact flash. Features lithium-ion battery with 500-700 shot capacity. 2007 November 15th Nothing on other formats from Canon, but Mamiya and Phase One have decided to work together. The MF market is never going to be a big one, so given Hasselblad’s decision to go for a closed system, Phase One had to go somewhere. Much more cost effective and a much wider market. Looking at a super high end body blending the DSLR with medium format removable back. 2007 August 18th Canon can now make 35mm full frame chips in one step – and can make larger ones too – more info on the 50D page from a lengthy email we were sent. “Sensor technology – Canon have mentioned that full frame sensor chips need two stepper passes. Sony now has the technology to do this in one pass and are preparing their own sensors and selling to them Nikon. 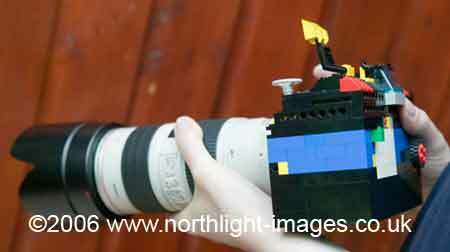 However, Canon have a new ‘one pass’ technology too. What’s more, it can do even larger than 35mm (36x24mm) in a single pass. However I’d forgotten to mention that if you want to move into Digital MF on a lower budget ($10k) then there is the Mamiya 645AFD IIMedium Format Camera with 80mm f/2.8 AF lens and the Mamiya ZD 22 Megapixel Digital Back. The Mamiya ZD digital back offers a 36mm x 48mm Dalsa CCD 22 mega pixel image capture sensor. Looks like continuing fallout from the (failed/stalled) Hoya takeover. April 10th For those looking at the long awaited Pentax MF digital (see below), I notice the proposed Pentax/Hoya merger/takeover is off, or on again. More info from www.bloomberg.com/index.html (type Pentax into the search box). Anyway if you’re still not familar with the ‘it will be available at a future date’ marketing, somewhat more common in the digital MF field, have a look at some Sinar info. Despite occasional mentions on forums, I’d not expect Canon to make any move on this type of ‘modular’ approach. 2007 February 25th When is FF MF and what is truly FF? 2007 February 17th More prospects for a bigger than 35mm Canon? An interesting thread on a board that points towards some very interesting announcements? 13th If you read the sensor info yesterday, then do look at some of the info in the follow up posts in that LL thread. 12th Things are pretty quiet on the Canon MF rumours front, but there was a recent document posted on the LL forum by Sinar. I’ve got a pdf version available. “33 MP Dalsa and 39 MP Kodak Sensors, Technical Differences and Facts” perhaps slanted a bit towards the Dalsa chip (it’s what sinar use) but a good reference. 29th I saw a comment mentioning that Canon acquired a company that had designed an MF sensor a few months ago. Is there anything to this …has anyone any further information? 6th An interesting take on Canon’s new ‘pro’ stuff for this year. It was mentioned to us that there will be an additional all new 1 series body in addition to the expected ‘1DsMkiii’. This one would be a rather specialist offering and the key word was ‘movements’. Could this be the ‘all’ new system referred to a few days ago? 2007 January 1st The ‘all new’ Canon system could (and I suspect this is more likely) point to a big jump in performance in the next 1D type top of the range 35mm FF dslr. 2006 November 12th I noticed (OK it was at Photokina ;-) that Leaf and Jenoptic have announced “a new auto focus, medium-format camera”, however the press release is rather thin on actual details… There is a bit more detail from Leaf themselves. Will Canon bring out something really big next year, or stick to 35mm and smaller? I believe that if they did, and had an ‘open’ lens mount design (much like the EF mount) they could clean up in the market. Question is, does it fit in the corporate road map? — here is a thread on LL, that once you get past people harrumphing over ‘rumour posts’ has some interesting observations about problems with larger sensors. 5th Just a catch up on the rumblings in the MF digital market, following on from the Hasselblad announcement at Photokina. For a longer take (from a long time Hasselblad user) on this, see MR’s comments on Luminous Landscape. “Large format 48x36mm digital capture. Today’s digital photography demands higher resolution, less noise, and improved compositional choice, all of which the CF backs provide. 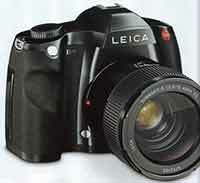 The sensors are 22 or 39 megapixels in size and they are both more than twice the physical size of today’s 35mm sensors. 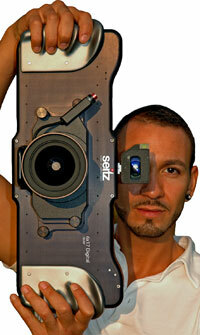 For only 28,900 Euros you can have a Seitz 6×17. ISO 500-10000 scanning back that can take a full width shot in one second. Whilst on technologies, have a look at the very interesting paper about sensor noise from NuCORE (two useful PDF files). If you are looking for more technical info on sensors, then there is a lot to download from the Dalsa site, and Kodak has quite a lot of good sensor related info as well. 2006 August 28th If you have a look in Canon’s very interesting 30 page PDF article about full frame sensors there is lots of info that might point to possible movement in the MF sized field. 20th There is a big Canon event on the 24th, it’s possible we might get some advance warning of an ‘all new’ system although I’d not expect it until PMA early next year, since it would take some of the glory (and sales) of any new 1Ds Mk2N or 1Ds3. 2006 August 7th Well it seems the thread I linked to yesterday has been deleted. The most interesting reason would be that it was too close to the truth and Canon lent on the site – maybe it just got too long and was culled. Anyway, here is the original text (as posted on dpreview) from a supposed beta tester. 22 Aug will be the official presentation. 21 Nov 2006 the first one will hit the streets at 9.999$ suggested price. User could switch to 12MP 8bit color and work at 4800asa (getting almost same noise as with 5D at 1600asa, that my test showed). Also 6400asa will be there as option but as I tested is not usable (except for B&W photos). New DIGI-chip offering 3presets for real-time tonality enhancements. (Much better than the one I tested in a new SONY A-DSLR). Also 1Ds Mark III will be compatible with the new EF-Ls lenses. (There will be some new lenses soon for new 2xFullFrame cameras (in 2years maybe). Something like the opposite of the EF-S called EF-Ls or EF-Ds. I also tested a new replacement Dalsa-CCD for MamiyaZD 21.7 MP with 12bit color but it could not perform well at 800asa. July 12th More comment received suggesting that the 1Ds Mk2 N will indeed have 22MP, faster buffer and bigger LCD – and a $10k price tag. 2006 July 4th A different take on the ‘no new MkIII at photokina’ — We’ve been told that although the new flagship camera exists, all the marketing and production requirements mean that it’ll first be shown (in a box – for show only) in Feb 2007 in time for PMA. It will not be a Mk3 and is likely to be an ‘around $10k’ camera.